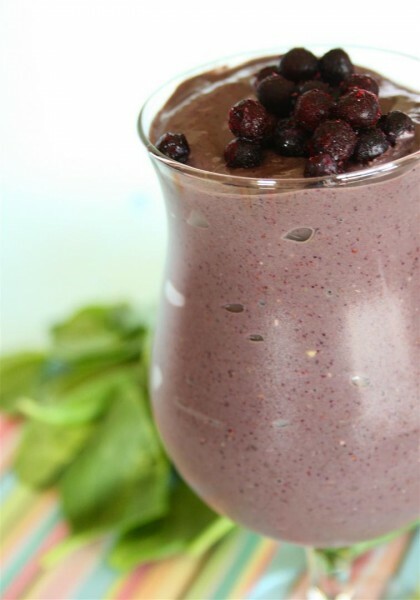 My Favourite Superfood Smoothie was posted on April 16th, 2012 and is filed under Breakfast, Drinks & Smoothies, Gluten Free, Low Carb, Protein, Recipes, Vegan. This entry has 30 comments. You can follow any responses through the RSS 2.0 Comment Feed. Hey guys! This week it’s all about fruit…I can’t wait to share with you some fruiti-licious delights with you! Which is LOADED with amazing superfoods…essentially, I think this is what superheros drink every day. I had this after a killer cardio workout and this drink was awesome for recovery. It’s also vegan. …So to feel awesome like a superhero, drink this for breakfast! *Or whatever protein powder you like using. Blend all that superhuman goodness up and enjoy! 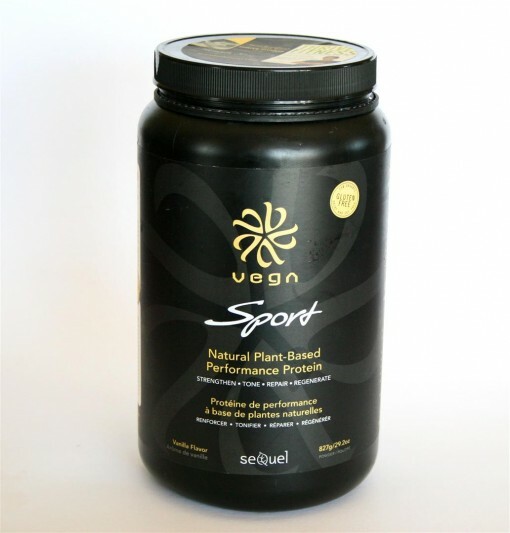 I love using Vega Sport protein powder and totally recommend it. So far, it’s my favourite protein powder – as far as nutrition and taste. The only thing I don’t like about it…is it’s very expensive. However, you’re getting REAL nutrition, superfoods, and even greens in this vegan protein powder…not just protein. Nutritional Info (without protein powder or greens powder): Cals: 404, Fat: 26g, Carbs: 38g, Fibre: 15.5g, Sugars: 16g, Protein: 12g Calories (and fat) mostly come from the avocado, and the counts may vary depending on the kind of yogurt or brands you use. Sadly, I’m almost out of it (sniff). On the happy side, the folks from Vega sent me some samples to try their new Vega One, so sometime this week I’ll do a review and give you a recipe! So now I’m going to get a protein shake together and grab my flip-flops, because I’m off to the beach to play volleyball with friends. Yes! Volleyball makes my world go round! What’s your favourite superfood to put in smoothies? Are you familiar with Vega? LOVE vega! It is my favorite protein. Everyone raved about Sunwarrior so I bought it this past time instead and I find it has a chalky texture compared to vega, so I will probably go back to vega. Love the vanilla bean flavor. My favorite superfood in smoothies is spinach for sure! I have been looking for a smoothie recipe with avocado in it (trying to increase my healthy fats) so I will try this one soon! I’m a huge fan of Vega products and the recipes in Brendan Brazier’s books. This smoothie is so up my alley. I will have to try it. I want to be a super hero!!! I’ve been looking for a good protein powder so I’ll have to check out Vega. You will LOVE Vega One. It is really fabulous… taste/nutrition wise. I just love Vega all around haha have you had the Vega Sports Protein bars??? I call them crack bars. So ridiculously delicious. Wow, this sounds great! I’ve never thought to use avocado in a smoothie before! Avocado in a smoothie? Interesting! Does it change the flavor? Alyssa~ Avocado is so mild and takes on the taste of whatever you blend it with…but it does make the shake more creamy! I love getting my healthy fats in with a smoothie. Just made this! It was SOO good. I’m dairy-free, so replaced the yoghurt with 1/2 banana for thickness and it turned out great. I also added sacha inchi seeds on top! What is “1 scoop greens superfood”…? Gajanan – Anything that is low carb with no added sugars (not even honey or high starch veggies like carrots) is your best bet. I have a lot of low carb recipes here and will continue to produce them! <3 Glad you stopped by! I would like to know what can you use in place of almond milk or soy ? Also again what is green superfood ? Also can you add or use other kinds of fruit ? Rose – Any milk works (dairy, nutmilk, even rice milk – whatever your preference is!). A green superfood is a mix of powdered greens, a concentrated and natural source of minerals, vitamins, and antioxidants. This is optional. 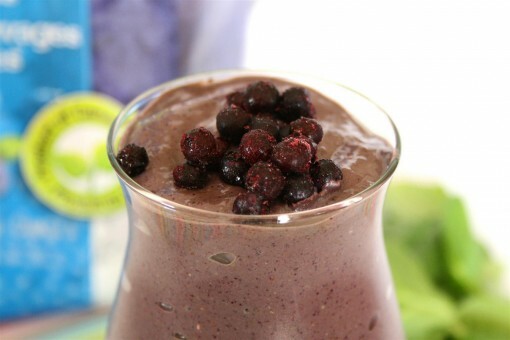 You can make this smoothie without it! And absolutely, I see smoothie recipes in general as a skeleton for whatever fruit or flavour you wish to try! 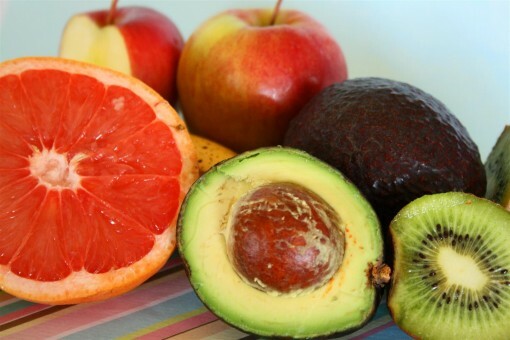 Add whatever fruit you like! This recipe is just a combination of fruits that I loved. I want the nutritional info: carbs, protein, fiber, sodium, potassium, etc. Did I miss something? Barbara – I didn’t put the nutritional info down for this one…but you can always plug the recipe into the calorie count dot com recipe analyzer. You really need to add the nutritional info – mainly carbs and fibre so we can understand if this is really diabetes safe! Ella- I’ll try to remember to do this! Just added the info on this recipe! How much is a “scoop”? A tblsp? Robert – Yes! Pretty much! I was recently diagnosed diabetic. I had my gallbladder removed 3 years ago, but have just started having serious issues with fat. I also need to lose 50 pounds. I just (tonight) discovered your site. I’m looking forward to trying your receipes. Margaret – Sorry to hear that – but I’m glad you find my site helpful! Blessings on your health journey! Hi Charissa. Why do you recommend “frozen” blueberries and strawberries in your favorite superfood smoothie rather than “fresh” organic berries? Aren’t fresh berries better than frozen? Also isn’t 16 grams of sugar high for a smoothie that is supposed to be good for type 2 diabetes?